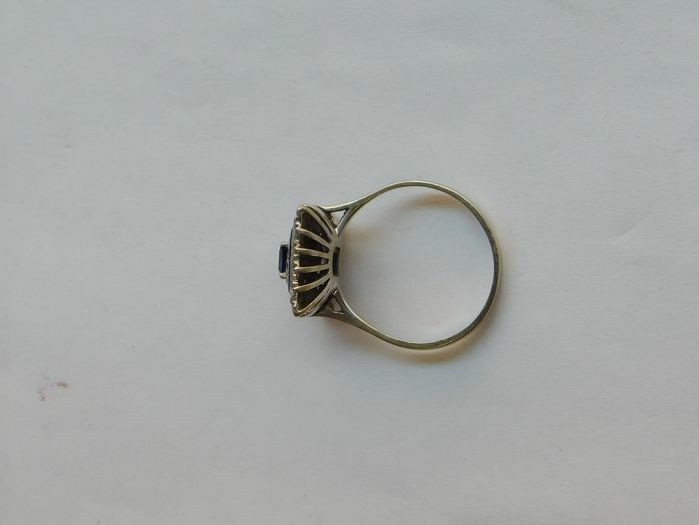 Ring measurements: internal: 18.7 mm, external: 20.5 mm, lower width: 2.4 mm, thickness: 1 mm. 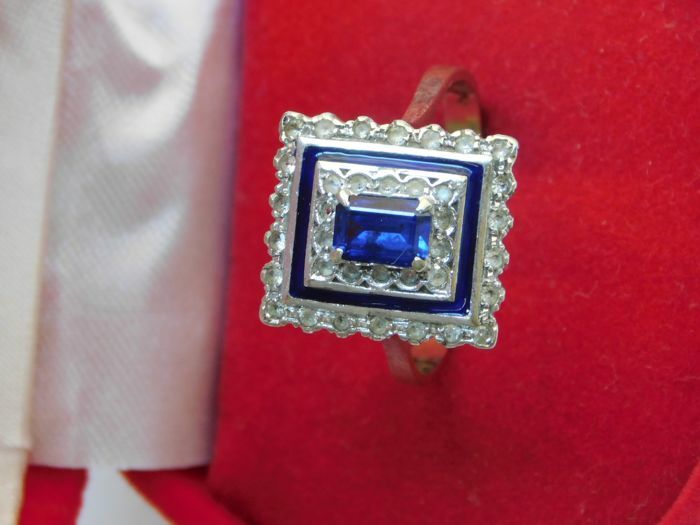 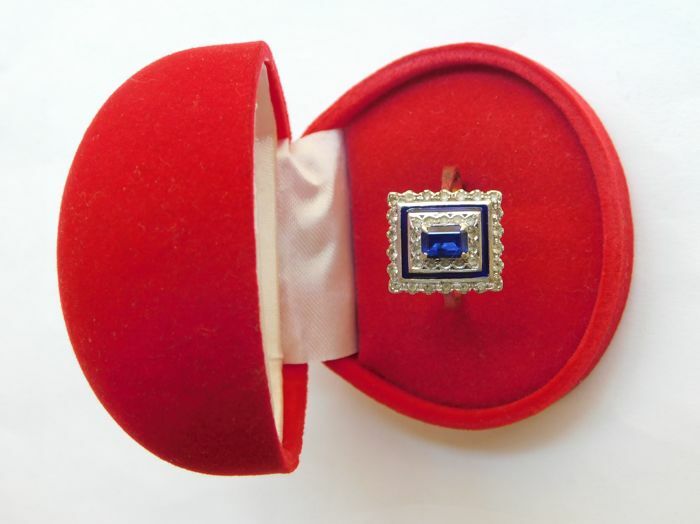 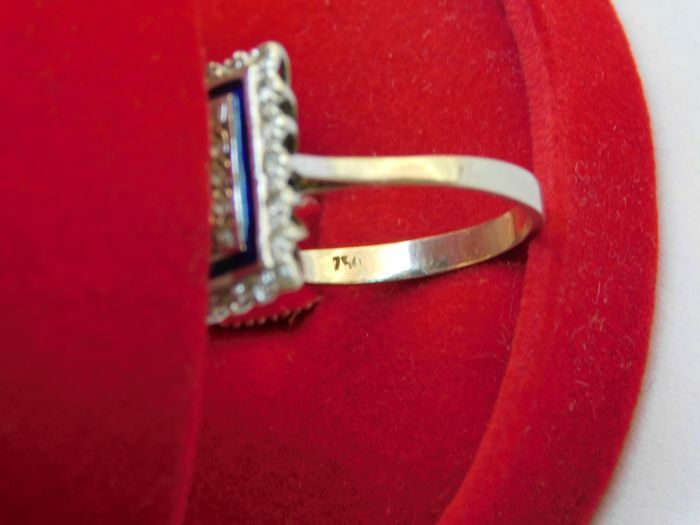 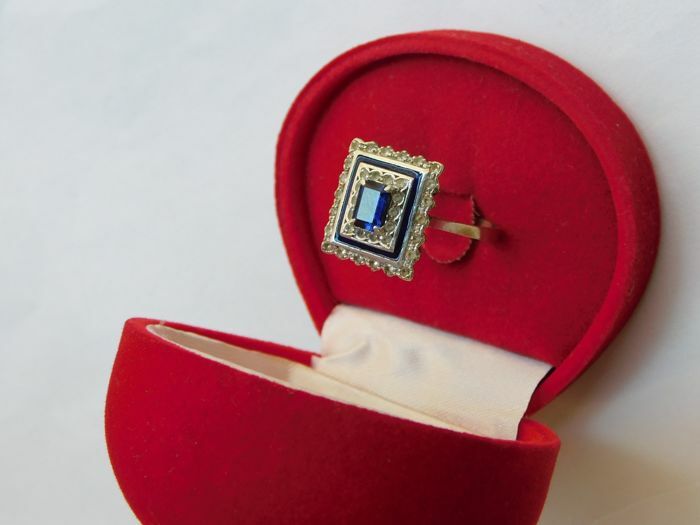 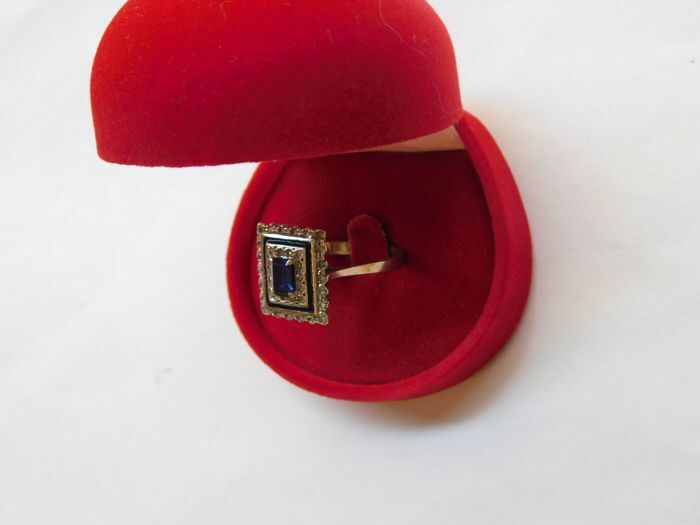 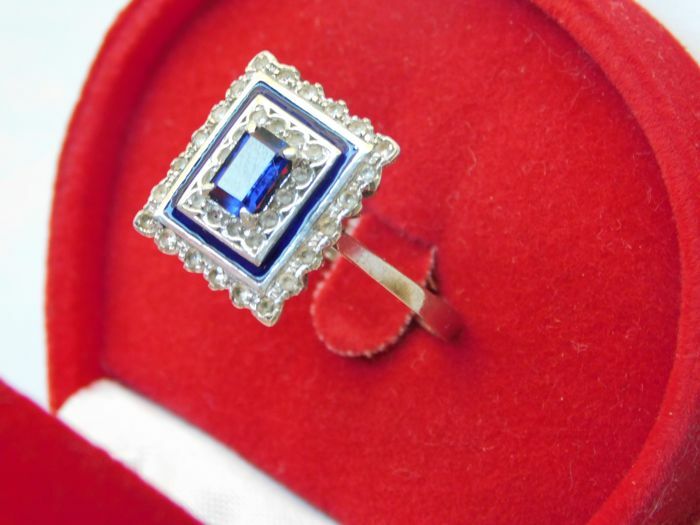 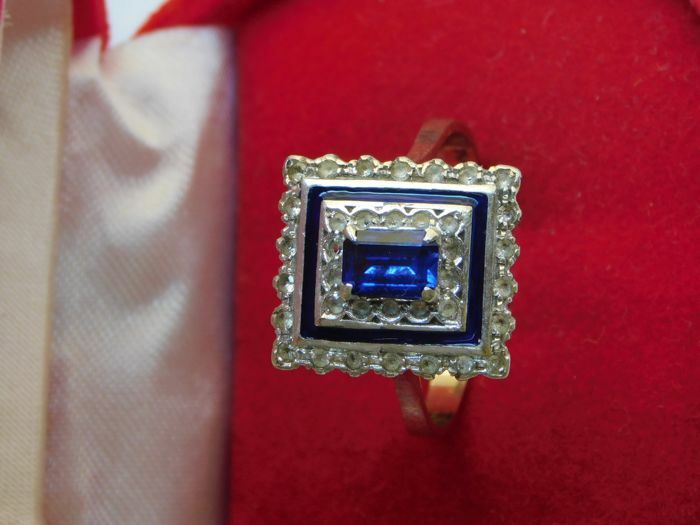 The top is rectangular and measures 15.3 x 13.7 mm, with two rows of 8/8 cut white quartz with a layer of blue enamel in between and a 0.6 ct rectangular cut sapphire in the middle. 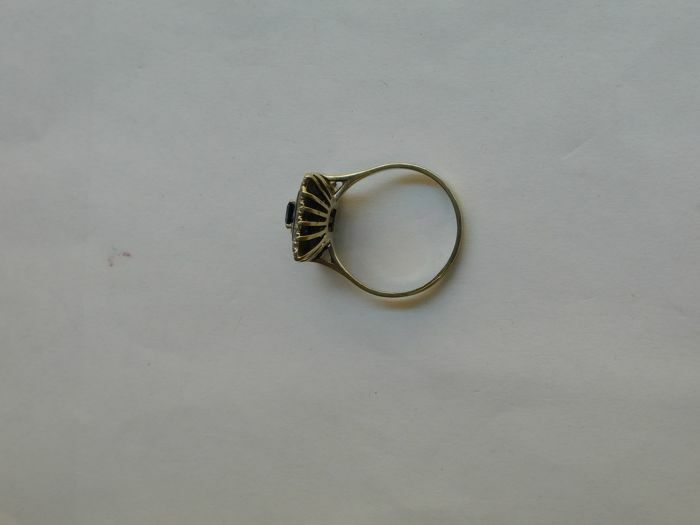 Weight: 4.5 g. Insured shipping with tracking. 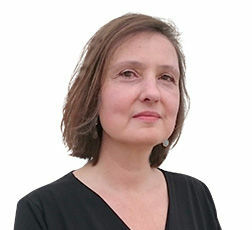 U kunt dit kavel ook ophalen bij de verkoper: Castelfranco Emilia (Emilia-Romagna), Italië.